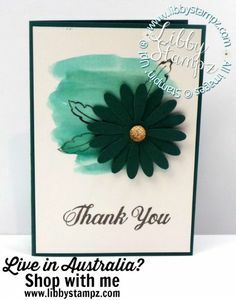 Today I have an edited version of a Live with Libby I did a few weeks back showing Delightful Daisy Gift Cards and how quick and easy they are to make. They would make a great gift. You could use any Designer Series Paper you have as you only need small pieces. So, all you need is some card stock to make the cards, a Mini Pizza Box and some Designer Series Paper. 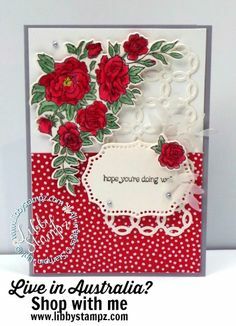 Choose sentiments from your stash and some punches too. I used the Pretty Label and Tailored Tag Punch. On Whisper White card scraps, stamp sentiments in coordinating colours and punch out. 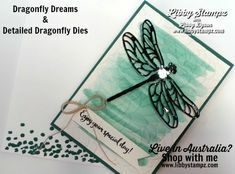 Adhere to cards with Stampin’ Dimensionals. Here’s the completed set. You could have Birthday or any other sentiment you want. This would make a quick and easy gift. 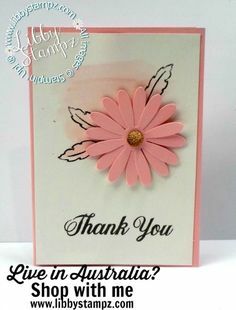 Don’t forget to try and attend my Live with Libby tomorrow at 10 a.m. Sydney time where I will show you how to make a quick and easy Easter Treat using some Designer Series Paper. The supplies used today would be useful for many other paper craft projects including scrapbook pages, Memories & More etc. 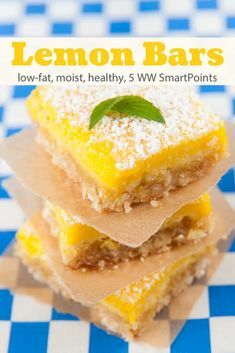 Think outside the square and use your supplies wisely.